Hit sass level 100 with this mini skirt girl. 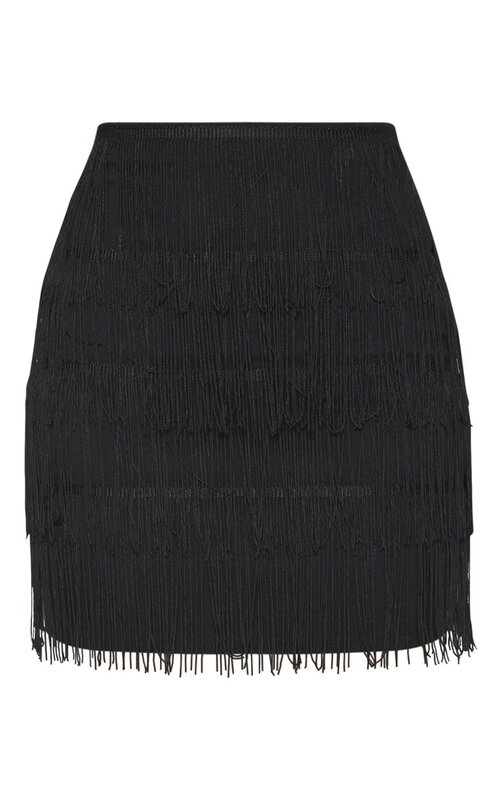 Featuring a black material with tiered tassel details and a body-skimming fit. 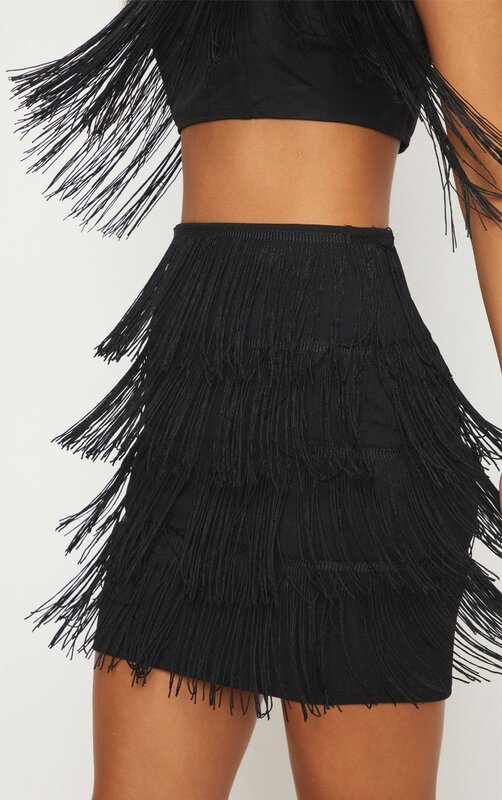 Style with the matching tiered fringe crop top for a co ord of dreams and finish the look with high heels and a bold lip.